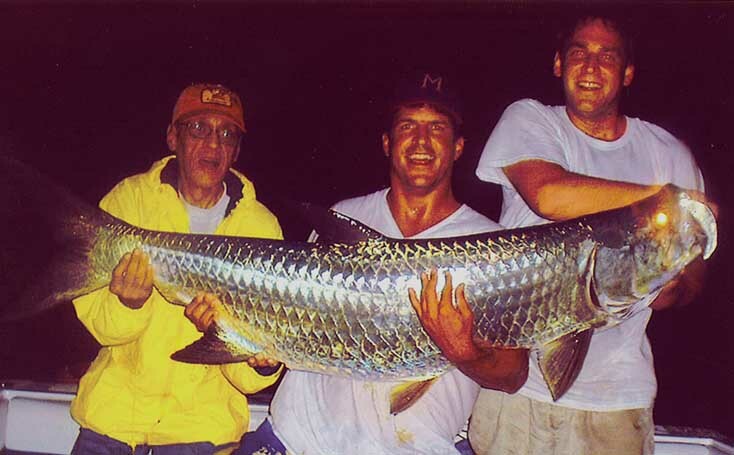 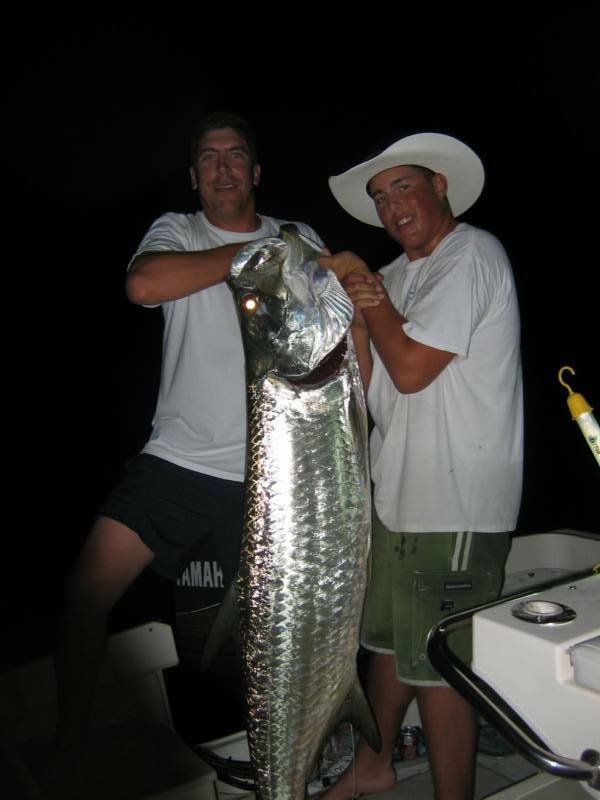 Tarpon are plentiful in our local waters during the summer months. 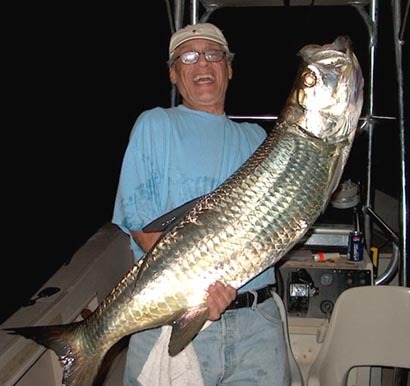 Considered the ultimate gamefish among gulf coast anglers, tarpon challenge even the most experienced fisherman to dig deep. 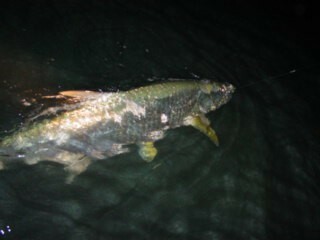 These fish are unbelievable. 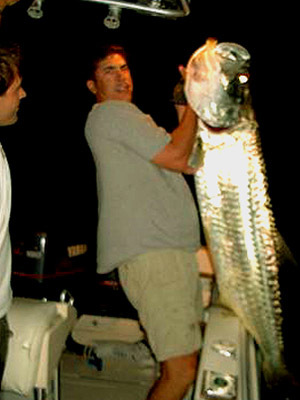 Most are in the 80-90 lb. 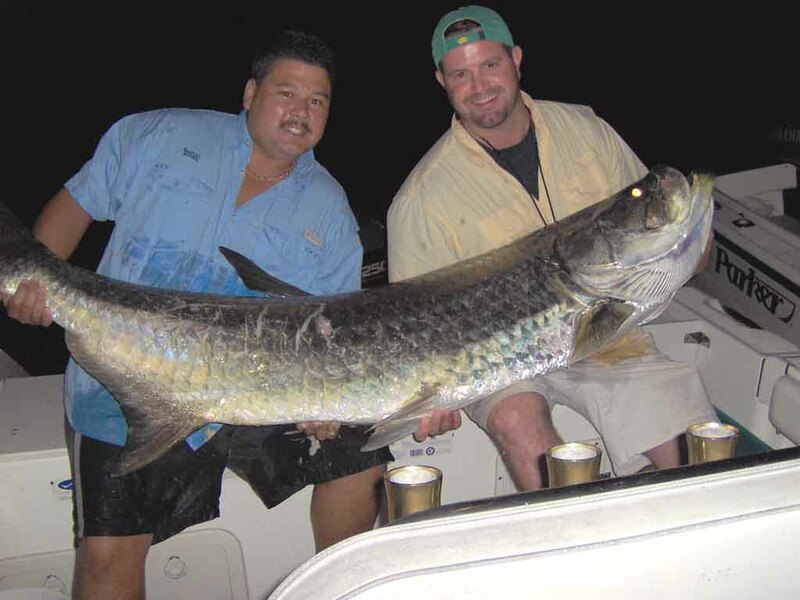 range and many are caught over 100 lbs. 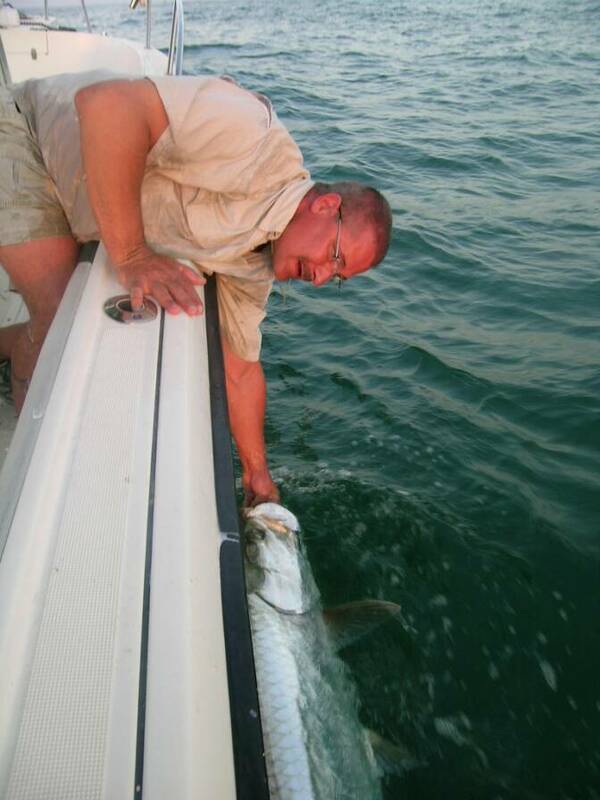 Strictly a "Catch & Release" sportfish, we catch them on medium to heavy tackle with live bait. 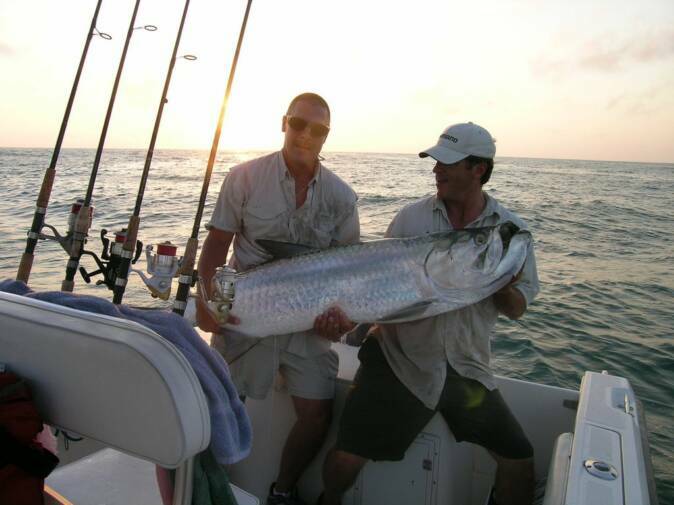 For more information call 941-725-0798.